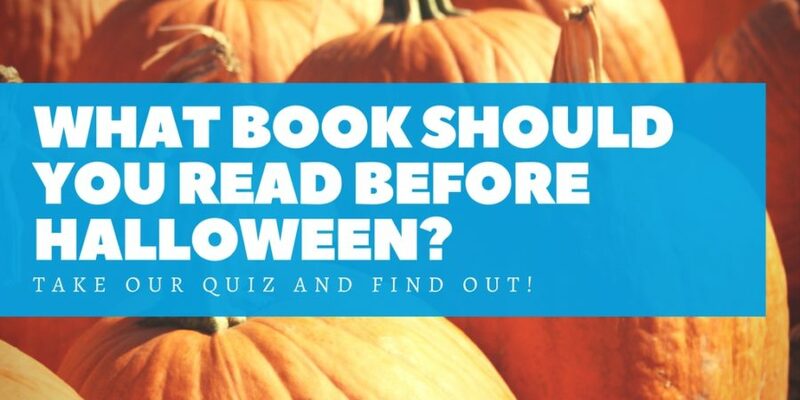 What book should you read before Halloween? Sweater season. Pumpkin spice. Trees turning. On-coming darkness. Mid-terms. Existential crises. Tractor rides. Candy. Autumn is here, and if you’re in need of a good book for the last half of October, you’re in luck! From the truly terrifying to the pleasantly spooky, these books are great to read with a hot cuppa. Pick from the selection below and we'll tell you what MG or YA book you should be reading! 3. What Halloween decor do you want to use? 4. Which Halloween costume speaks to you? 5. What Halloween movie will you be watching this season? "Never go into the forest, for there are many dangers there, and they will ensnare your soul. "Serafina has never had a reason to disobey her pa and venture beyond the grounds of Biltmore Estate. But when children at the estate start disappearing, only Serafina knows the clues to follow. I would say it's a pleasure to meet thee, Prosperity Oceanus Redding, but truly, I only anticipate the delights of destroying thy happiness.Prosper is the only unexceptional Redding in his old and storied family history — that is, until he discovers the demon living inside him. Turns out Prosper's great-great-great-great-great-something grandfather made — and then broke — a contract with a malefactor, a demon who exchanges fortune for eternal servitude. And, weirdly enough, four-thousand-year-old Alastor isn't exactly the forgiving type. I brandished my parasol at him like a rapier. "You, sir, are an abominable scalawag of a man, and I'll be damned if I let you threaten me.”Sixteen-year-old Eleanor Fitt’s brother is missing. And when she discovers that the Dead are rising in Philadelphia and wreaking havoc throughout the city, she knows that her brother is involved. “There’s Someone Inside Your House is a heart-pounding page-turner with an outstanding cast of characters, a deliciously creepy setting, and an absolutely merciless body count. Best read at night with big bowl of popcorn, this is a killer addition to the slasher genre written by one of the best contemporary YA writers around.” — Courtney Summers, author of All the Rage and Cracked Up to BeOver a year after her parents sent her away from Hawaii to live with her grandmother in landlocked Nebraska, Makani Young is still adjusting to her new life. She's made a small group of close friends and even flirted with romance, but her past in Hawaii is still hard to forget.And then . . . one by one the students of her new high school begin to die in a series of gruesome murders. Makani doesn't know who's next on the list. Between this, and a secret scorching relationship with the school weirdo, this school year may turn out to be one to die for . . . literally. Everywhere she walked the color shouted and sang around her... In October any wonderful unexpected thing might be possible.Sixteen-year-old Kit Tyler is marked by suspicion and disapproval from the moment she arrives on the unfamiliar shores of colonial Connecticut in 1687. Alone and desperate, she has been forced to leave her beloved home on the island of Barbados and join a family she has never met. Torn between her quest for belonging and her desire to be true to herself, Kit struggles to survive in a hostile place. Just when it seems she must give up, she finds a kindred spirit. But Kit’s friendship with Hannah Tupper, believed by the colonists to be a witch, proves more taboo than she could have imagined and ultimately forces Kit to choose between her heart and her duty. "She was standing so still, her long dark hair and shadowy green cloak melting in and out of the shifting leaves, that for an instant Kate thought she was not real, only a trick of light and color like her first illusion about the ivy-covered stump. But she was real." In 1558, while exiled by Queen Mary Tudor to a remote castle known as Perilous Gard, young Kate Sutton becomes involved in a series of mysterious events that lead her to an underground world peopled by Fairy Folk—whose customs are even older than the Druids’ and include human sacrifice. The things that your eyes see plainly and can't forget are worse than huddled black figures left to the imagination. Imagination has a poor memory; it slinks away and goes blurry. Eyes remember for much longer.Cas Lowood has inherited and unusual vocation: He kills the dead. So did his father before him, until he was gruesomely murdered by a ghost he sought to kill. Now, armed with his father's mysterious and deadly athame, Cas travels the country with his kitchen-witch mother and their spirit-sniffing cat. Searching for a ghost the locals call Anna Dressed in Blood, Cas expects the usual. What he finds is a ghost like he's never faced before. 'Lovely.' Thomas scrunched his nose. 'There's nothing quite like the aroma of a bloated corpse to get one in the mood for adventure. 'Following the grief and horror of her discovery of Jack the Ripper's true identity, Audrey Rose Wadsworth has no choice but to flee London and its memories. Together with the arrogant yet charming Thomas Cresswell, she journeys to the dark heart of Romania, home to one of Europe's best schools of forensic medicine...and to another notorious killer, Vlad the Impaler, whose thirst for blood became legend.But her life's dream is soon tainted by blood-soaked discoveries in the halls of the school's forbidding castle, and Audrey Rose is compelled to investigate the strangely familiar murders. What she finds brings all her terrifying fears to life once again.